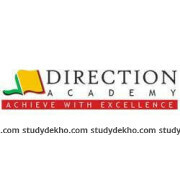 Career Guru 4U Delhi a government coaching institute where students are imparted proficient and analytical training emphasizing the applied coaching standards in their classroom learning. Here students are given a mix of both e-learning and lecture tutoring. Career Guru 4U started with a vision to create a breeding group of young bright talent that will lead India administered department and empower the whole Indian economy through their ethic and professional approach. Offering coaching in SSC CGL, Bank PO Clerk, CTET and Railways exams, Career group 4U has left a trail of success stories as a benchmark for their quest for excellence and brilliance in the competitive coaching. Career Guru 4U Delhi has a number of outstanding features in its coaching diary that has taken their teaching standards to another level. One is their free online test series to indulge students in the daily practice of polishing your skills and also following the art of practice leads to perfectionism. Another striking feature of there is small and competitive batch which often is the prerequisite of comfy & individualized coaching.